Yes, this piece of Bruneau Jasper is really that dark! It also has a polish so bright you can see the birds flying by the window's reflection (OK so that's a stretch). 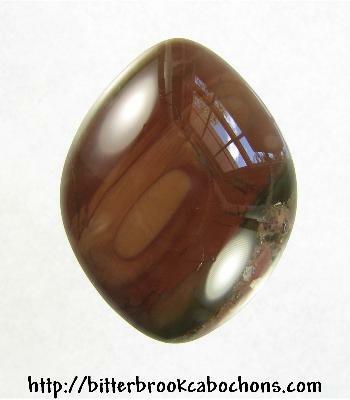 Very dark brown cabochon. 34.5mm x 26.5mm x 8mm. Weight: 48.70 carats.